Lying to police officers usually never is a good call, but one amazing group of students did just that, but it was all in an attempt to show their Heritage High School resource officer, Officer Mitch, how much he means to them! The Dude.be nice clothing company, which sponsors heartwarming surprises for those who makes a positive difference in the world, helped create the event and guide the students. Their collective appreciation presentation is something that Officer Mitch will remember forever! The students planned to trick Officer Mitch by telling him that one of the kids he knows well, Sienna, was involved in a distasteful video posted onto social media. This especially hits home for the kind officer because it's something he works to prevent in a special volunteer organization after work! So Officer Mitch is called into the principal's office to deal with the student and look at the video. As soon as he enters the room, he tells Sienna not to worry and to calm down - it's obvious that he really cares about the kids he looks after! 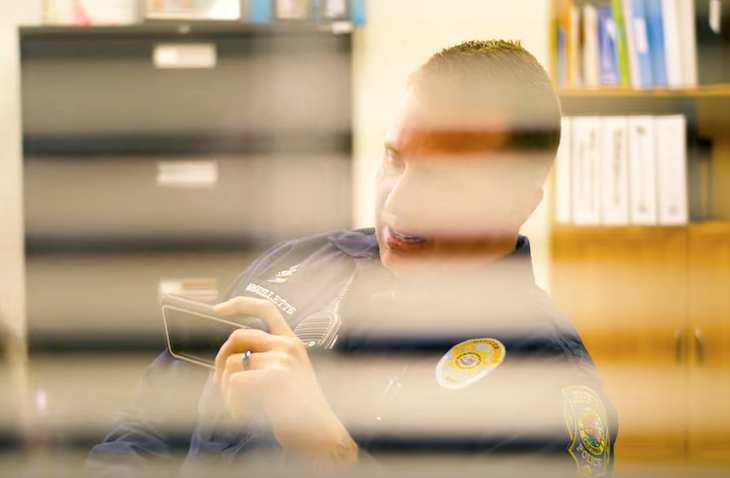 The students had secretly compiled a video full of the reasons why Officer Mitch is wonderful! With tears in his eyes, he exited the office and was instantly greeted by a crowd of students cheering him on. Then the flash mob to his favorite song, Macklemore's "Downtown” began! The dancing students reenacted the video and dressed him up in a big fur jacket and boa like the rapper wore in the official music video! The surprises were far from over! The students then led Officer Mitch to a stage where he was presented with handwritten thank-you notes scribbled onto softballs (since he's on a nationally ranked police force softball league), tickets to a Miami Heat game and a Dan Marino jersey, one of the most famous Miami Dolphins football player of all time! To put a cherry on top of things, the crowd of students ended their presentation by chanting "I believe that Mitch is great!" These students showed that police officers who truly care like Officer Mitch really make a difference in their lives - it's clear to see that he is a loved, respected and appreciated member of their community! Watch the school surprise Officer Mitch here!